Usher in sweater weather with this perfect worsted weight cardigan. Let your imagination run wild with a large color palette, but don’t let five colors intimidate you, you can create your perfect cardigan in as few as two color choices. Short rows and colorblocking create the iconic shawl collar, while the sleeve length is perfect to carry you through the passage of fall into truly cold weather, and will even see you through the coldest season of them all: summer in your office. 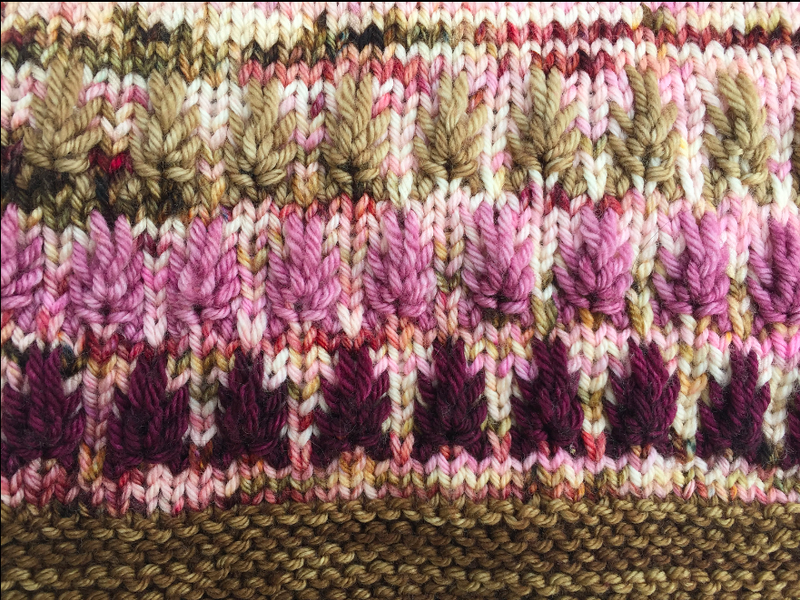 Even though the color work looks complicated, don’t let it deter you, you only have one active color in each row making it perfect for the hesitant knitter who is dying to incorporate color work into their repertoire.